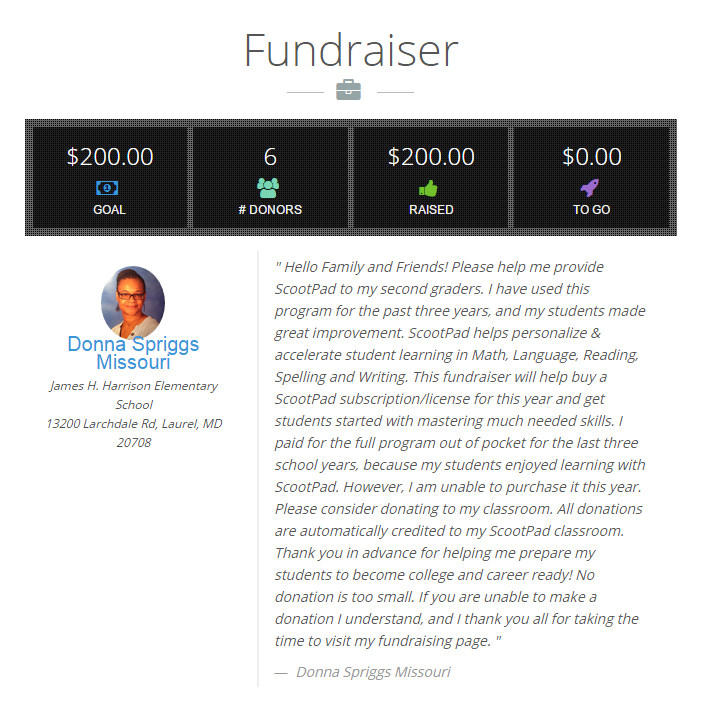 Hey admins and teachers, quickly set up and customize your own ScootPad Fundraiser page to help seamlessly raise funds for an Ultra Premium License! All you have to do is set a goal amount, then share the page with friends and family. Each donation goes straight into your ScootPad credit balance, so there is no middleman. You can track your donations in real-time, including how much you’ve raised and how many donors you have so far. We’ll help you spread the word by providing ready-made flyers and links to share your fundraiser page on social media, as well as your own website. Convinced yet? Think about it this way: If a classroom has 30 students and each student’s parent chipped in a one-time payment of $7, that’s enough for an entire year of ScootPad’s Ultra Premium License! Not too bad of a plan, eh? Learn more about how you can to get started on your ScootPad Fundraiser today by clicking here. For any other topics, check out our Help Center. Also, feel free to start a live chat with us or shoot us an email at support@scootpad.com or call us at 1-800-994-0706.